Hot Cross buns ! | La Rosilla - Lifestyle and food. Good Friday of Easter is the traditional day to make these delicious little buns, that will fill your home with a heady, spicy scent. Apart from the obvious cross symbol , I also like the thought of the cross depicting the four seasons. But this is not the time of year to think of our waistbands, tis time to indulge – bikini diets can follow soon. 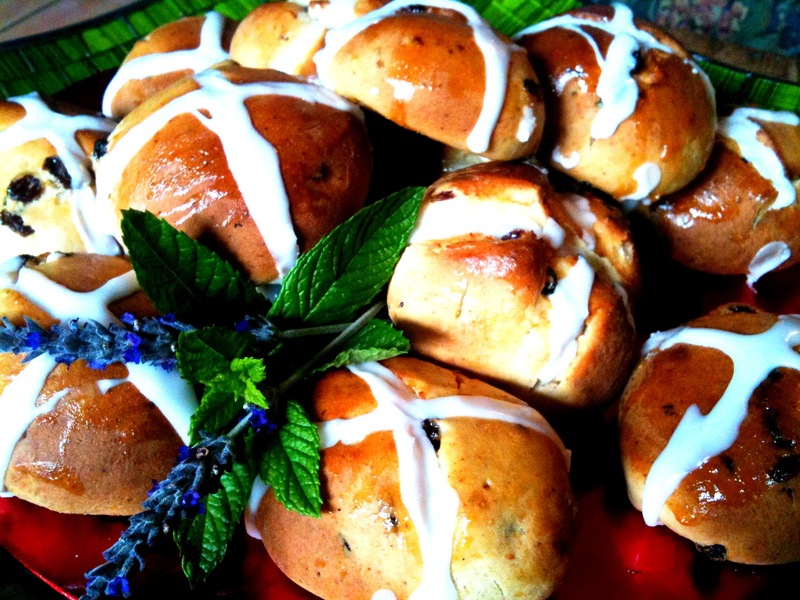 So here is my family recipe for Hot-Cross Buns- makes 20 healthy sized spicy buns. Best eaten warm from the oven, or lightly toasted with lashing of butter…as I said, a little of what you fancy does you good. You can mix this dough in a bread machine on dough mix – or as I did in my large food mixer, by hand of course too, but make sure you knead well. The dough is ready to prove, when after kneading you can push your thumb into the dough, and it springs back. Put all the ingredients into the mixer, except the mixed fruit, and mix thoroughly to make a dough, add mixed fruit, add a little more flour if necessary until your dough comes together, it will be sticky. Turn out onto a flour board, and knead until dough is springy. Divide into 20 balls, and place on a baking sheet lined with parchment, put in warm place, lightly covered with a cloth to prove till doubled in size. Once doubled in size using a very sharp knife, cut a cross in the top of each. Place in the oven 190c, for 12 – 15 mins, until risen and golden. Leave to cool slightly then brush with the apricot jam. Mix the icing sugar with lemon juice, till thick consistency, then drizzle into crosses. 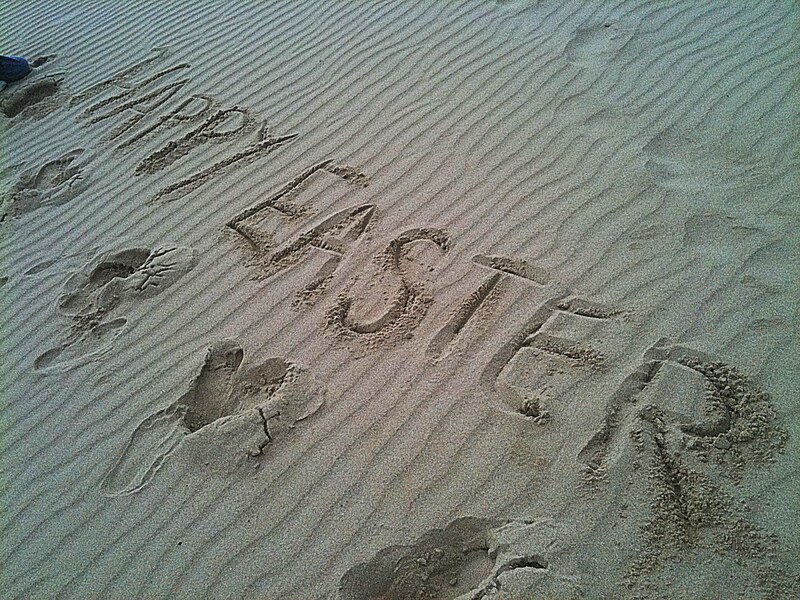 Enjoy and Happy Easter from La Rosilla. Thanks to Lynz! Happy Easter!